As it has been presented over the following decades, the incredible physical technique and subtle musical artistry required of the dancers in performing Balanchine’s masterpiece remains no easy task. For Ballet West, it is the perfect piece designed to highlight their monumental company of trained, talented dancers. Now in their 55th season, Ballet West is reviving their spellbinding performance of Balanchine’s “Jewels,” first performed at Ballet West in 2013. “Jewels,” though not driven by a specific plot, acts as a tribute to Balanchine’s history, where he has lived and worked and what made him the choreographer he was. It features three separate works by renowned composers, tied by an overarching theme of homage to the bygone eras of elegance in the places the father of American ballet drew his inspiration from. “Emeralds” is the first movement — set to Gabriel Faure’s regal and romantic music, this piece is reminiscent of the opulence of 18th-century aristocracy. It is elegant and composed, but evocative of the new works Balanchine created in France, a period which he described as a “turning point” in his life. “Rubies” is second — composed by Balanchine’s own colleague Igor Stravinsky, its driving and exciting flair echo the flapper era of the 1920s in America. From the roots of the roaring 20s, it is designed to appear playful and spontaneous while the performers continue to maintain their impeccable technique. Balanchine’s experience in this melting pot of styles — he also choreographed Broadway productions during his time in New York — is on full display. “Diamonds” is the third and final movement — as a tribute to Balanchine’s home of Russia, Tchaikovsky’s Symphony #3 honors the Russian Imperial Courts. 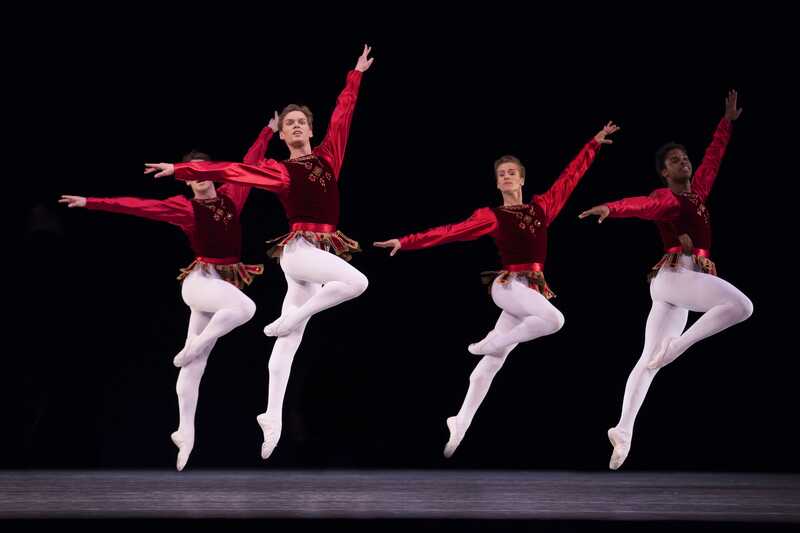 Balanchine, who was born and trained from a young age in St. Petersburg before fleeing Russia, captures the essence of his upbringing and culture in this spectacular finale. The intricacies of this work make it a challenge for many ballet companies to attempt. Adam Sklute, artistic director of Ballet West, said, “The immense scope, powerful artistry and technical challenges make the ballet available to only a few companies worldwide. Ballet West is proud to be one of those few.” With the incredible dancing talents here in Utah at Ballet West, there is no doubt that the return of “Jewels” will be a success. George Balanchine’s “Jewels” runs Nov. 2-10 at the Janet Quinney Lawson Capitol Theatre. Tickets are available for the limited seven performances at balletwest.org or by calling 801-869-6900.